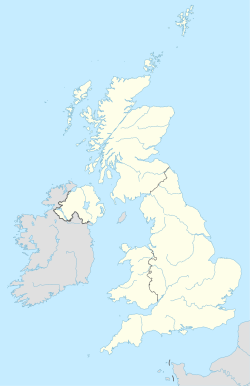 The S postcode area, also known as the Sheffield postcode area, is a group of postcode districts in and around eight settlements with post town status: Barnsley, Chesterfield, Dronfield, Hope Valley, Mexborough, Rotherham, Sheffield and Worksop in England. Of these Dronfield and Mexborough have one postal district. Currently the area has 49 non-sequentially numbered postal districts, three of which are 'non-geographical' being for bulk users in Sheffield and Rotherham. There was originally an S sector of the London postal district, which was abolished in 1868. Similarly, there were also S-prefixed postal districts in the compass-based system used in Glasgow: the former S1, S2, S3 and S4 areas on the South Side of Glasgow now have postcodes from G41 to G44. The S20 district was formerly numbered S19; S21, S25 and S26 were formerly numbered S31, while S32 to S36 were formerly numbered S30. The S64 district, Mexborough, was earmarked for use as DN13 which has never been used, see DN postcode area. S postcode area map, showing postcode districts in red and post towns in grey text, with links to nearby DE, DN, HD, NG, SK and WF postcode areas.